The Brick Castle: Scotch Tape Handband - one-handed wrapping. This weekend and next week parents up and down the land will be spending their evenings secreted away very busy wrapping presents for Grandma and maybe some other people. 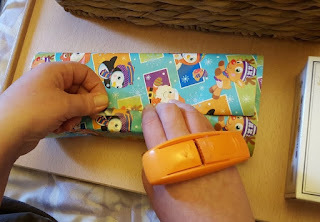 Cursing at accidentally buying wrapping paper thinner than tissue, and wondering why it was ever a good idea to buy more than 1 gift per child. The lovely people at Scotch sent me their Pop-Up Tape Handband Dispenser to have a play with, and actually I really like it! Obviously it's not your cheapest way to wrap, but I spent yesterday evening tackling some of our mountain and it was a pleasure - my partner and I even watched a movie at the same time and made a pleasant evening of it. 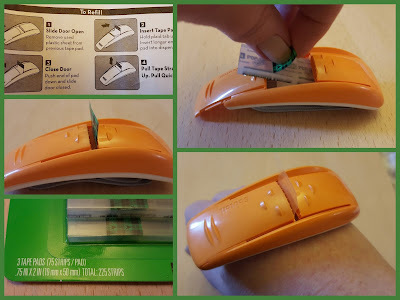 Super simple to use, the refills are very easy to install. Getting the hang of the technique and speed of pull takes a couple of attempts, and then you are off. 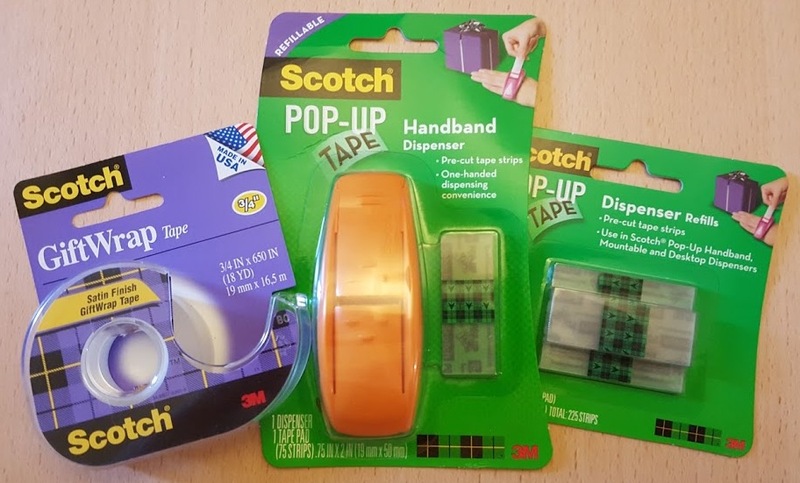 The Scotch Pop-Up Handband Dispenser has an rrp of £2.69, and packs of 3 refills have an rrp of £2.79, although bargains are definitely available! 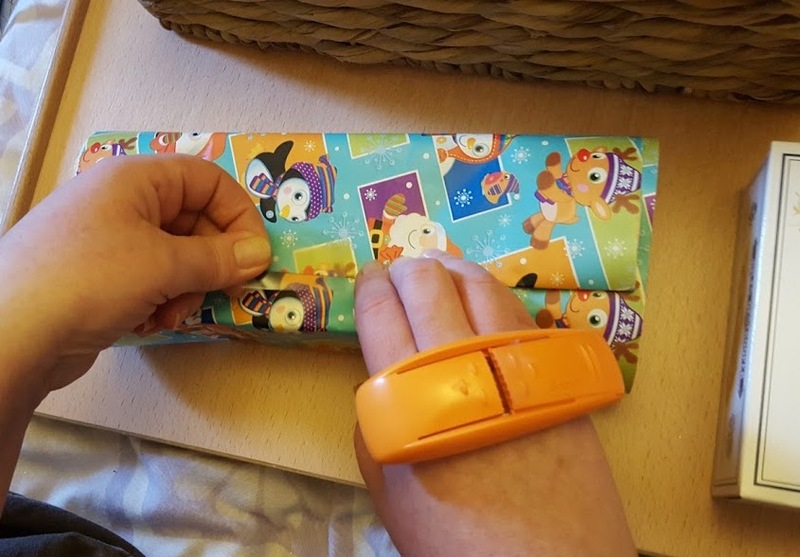 The tape is 3M tape, so excellent quality and almost invisible, plus it pulls off if you stick it to anything you shouldn't - without wasting half a roll of tape. To remove the annoyance out of wrapping and make it a much more pleasant and smooth experience, and to really speed things up, I think it's worth it. I know I'm rather keen on mine now, and I will buy some refills when I run out. It's a gadget and a gimmick, and at this time of year it's a very useful one indeed.